Marvelously unique and beautifully crafted, we have the giftware that will make that special someone smile. Our selections are both new and timeless, with an emphasis on top brands and fresh new looks while only creating products that are made to last. Looking for baby? We carry many boutique, quality pieces for baby, toddler, and child. We offer cozy clothing, trendy footwear, toys, and personalized CD’s. 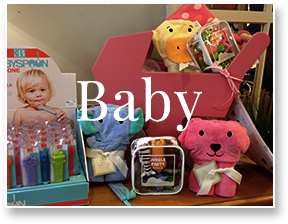 We have a large selection of accessories that can be purchased individually or coordinated with other baby items for wonderful gift packages. Looking for her? We carry a uniquely diverse jewelry selection including the popular PANDORA jewelry line and hand made, one of a kind pieces crafted by local artisans. 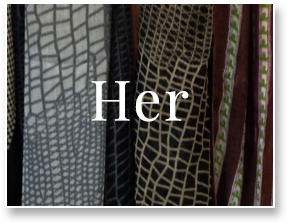 If she loves to be pampered, we have an extensive line of soaps and spa essentials that are made with natural ingredients to help her unwind at the end of a long day. Looking for home? We carry an extensive line of Root Candles that are highly regarded for their complex bouquets of subtle fragrances and sophisticated color palettes. 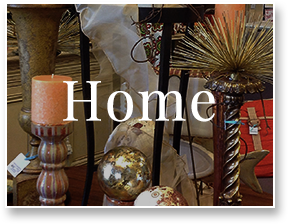 Explore your favorites, and we know you have them, from statues and scarves to candles and lace. A wide variety and a keen eye for true style has made URBANfusion the place to find something for everyone. Because we believe here that everyone deserves to be treated like a VIP, our dedication to service extends far beyond the reach of our interior design. Our communication with you and willingness to do everything we can to ensure you are getting the right gift for the right person is what makes us stand out—just like our products. Search through our store today, or contact us with any questions you may have. Knowledge, experience and a passion for design is what makes us excited to serve you. See how we can help today!